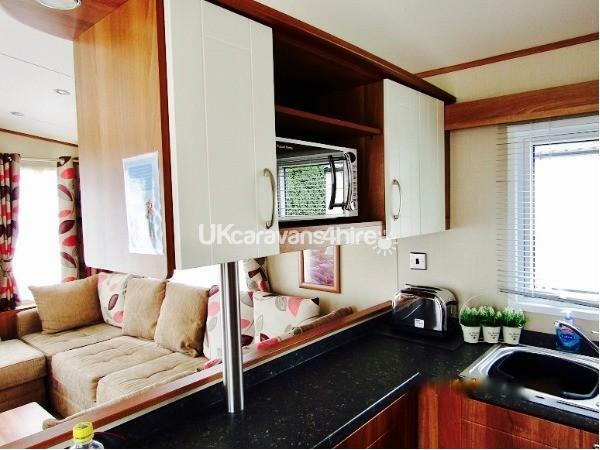 Additional Info: This modern and stylish static caravan is a real "home from home" with co-ordinated upholstery throughout and tastefully furnished. To ensure your stay with us is as comfortable as possible we include a welcome pack upon arrival, complimentary toiletries, hairdryer and information folder for guests wanting to explore the local area. Available to hire to families, groups and dogs are welcome too. Reserve your chosen date with a deposit we require a deposit of £100. The deposit is, due within 48 hours of your booking. Payment can be made by bank transfer, cheque (please allow enough time for the funds to clear), debit or credit card (although unfortunately there is a surcharge for all card payments). 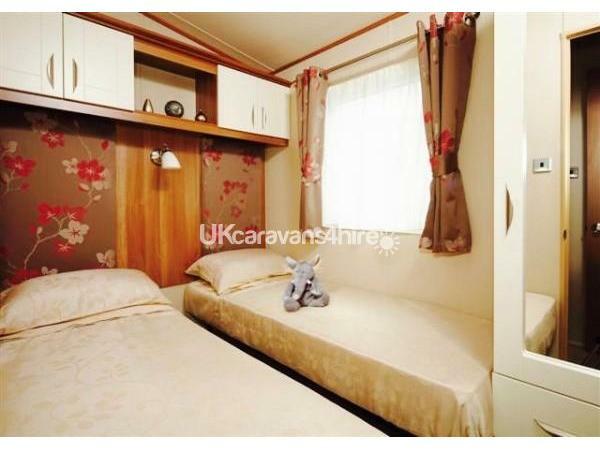 This deposit also acts as your damage deposit which is fully refundable 14 days after your holiday once the caravan has been checked. In the event of a cancellation this deposit will be retained. The full hire charge is due 8 weeks prior to your holiday date. Full terms and conditions including our cancellation policy can be found on on our website www.watersretreatsathopton.com or www.broadlandholidays.com but will also be forwarded to you with the booking form. 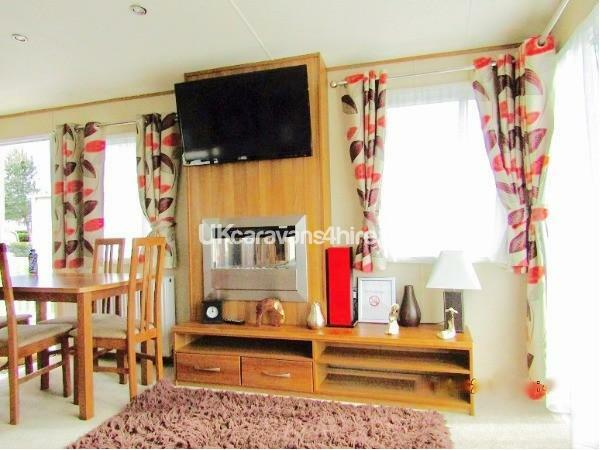 This modern and stylish static caravan is a real "home from home" with co-ordinated upholstery throughout and tastefully furnished. To ensure your stay with us is as comfortable as possible we include a welcome pack upon arrival, complimentary toiletries, hairdryer and information folder for guests wanting to explore the local area. 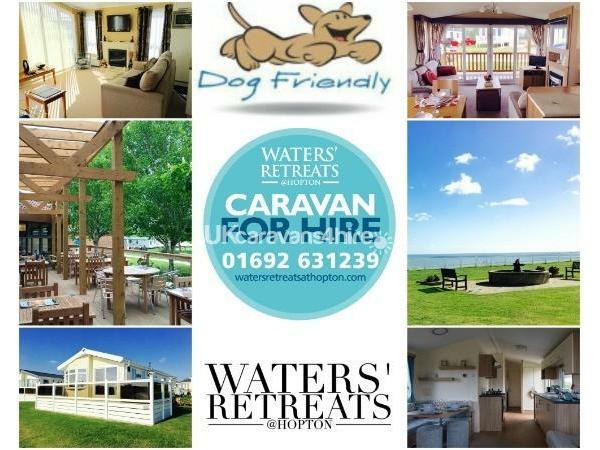 Available to hire to families, groups and dogs are welcome too. Open plan sitting room with TV and DVD, sound system, electric fire and french doors opening onto a verandah offering a pleasant outlook over Birkdale. 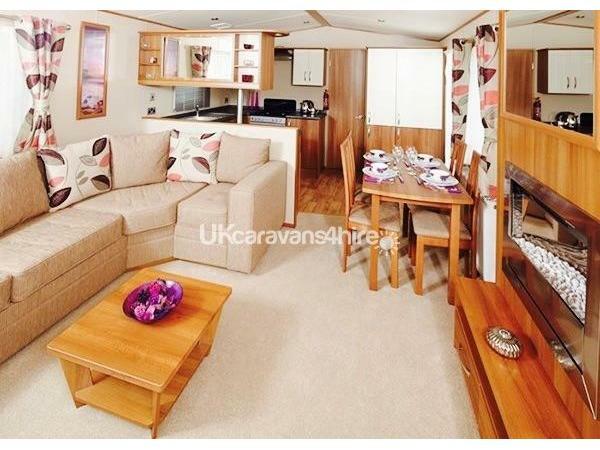 The caravan is double glazed throughout and has central heating, making it ideal for all year round stays. Dining area. 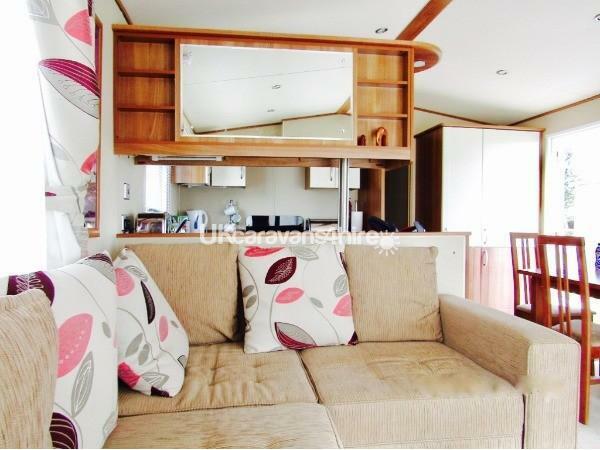 Well equipped kitchen with microwave, large fridge freezer, toaster and oven. Good storage throughout. 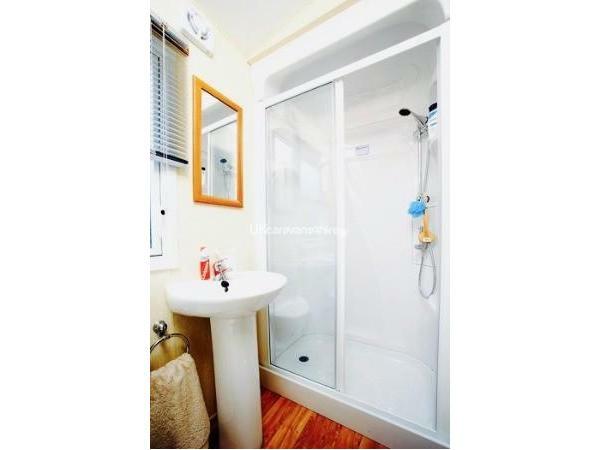 Family bathroom with shower, toilet and wash basin. 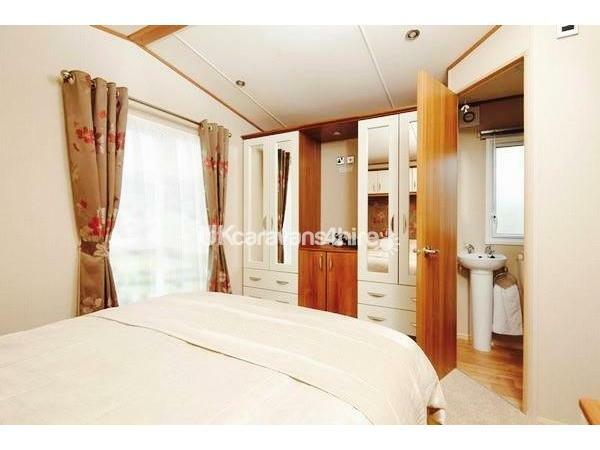 Master double bedroom with wardrobes, dressing table, TV with DVD and en-suite facilities. 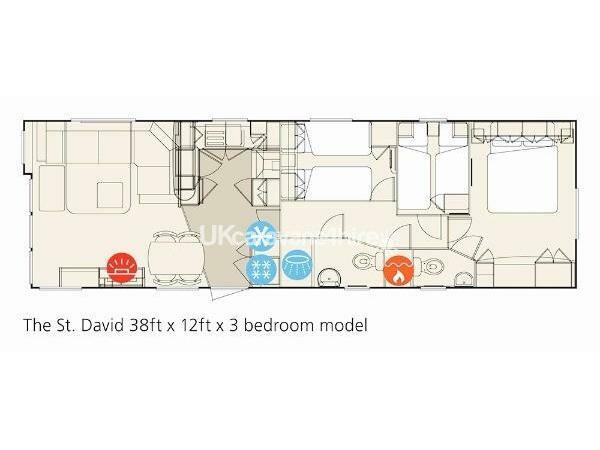 Two additional good sized twin bedrooms both with wardrobes, TV and DVD players. 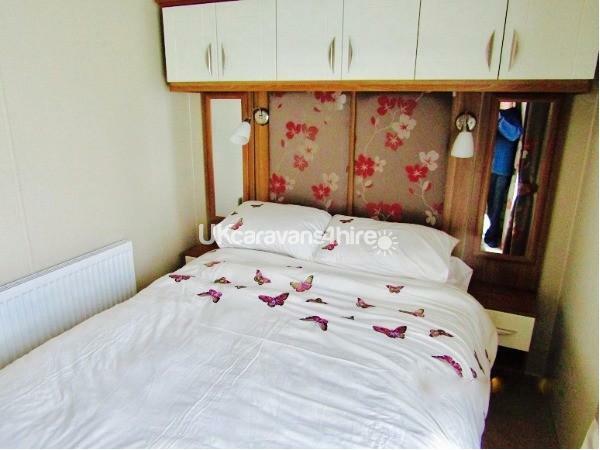 A further double bed can be converted from the sofa. Bedding is provided but please bring your own personal towels. The outside area is ideal for children and includes garden furniture. Situated on the peaceful and leafy area of Birkdale just five minutes walk from the main complex, shops and golf course. The beach is just a ten minutes walk. 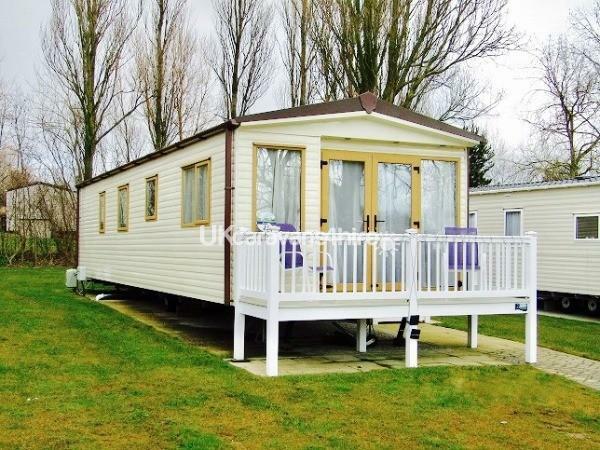 Hopton Holiday Village is an excellent park in clean and tidy condition boasting many activities and entertainment. For more details, prices, live availability and online booking please visit our website www.watersretreatsathopton.com.